Combat engineers with 299th Brigade Engineer Battalion deploy concertina wire in an effort to fortify defensive positions prior to the live fire portion during the Decisive Action Rotation 18-03 at the National Training Center, Jan. 24. The training is reflective of the complexities of potential adversaries our nation could face and include: guerilla, insurgent, criminal and near-peer conventional forces woven into one dynamic environment. 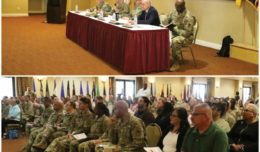 FORT IRWIN, Calif. — A chilly Mojave Desert greeted more than 4,000 Soldiers as they prepared to aggressively face a world-class opposing force during a grueling month-long exercise at the National Training Center (NTC). Soldiers with the 1st Stryker Brigade Combat Team, 4th Infantry Division, performed in unforgiving rocky terrain with constant climate changes far from the comforts of their home station during Decisive Action Rotation 18-03, Jan. 1-29 at Fort Irwin, Calif. 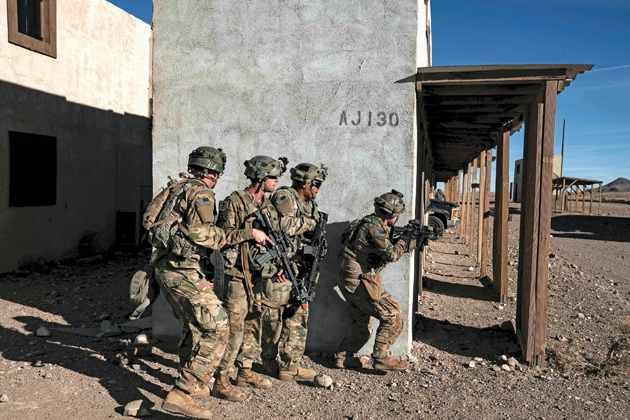 The “Raider” Brigade Soldiers focused on unified land operations, which simultaneously incorporate offensive, defensive and stability operations in support of civil authorities, providing the brigade with challenges ranging from the technical to the tactical, logistical to ethical. 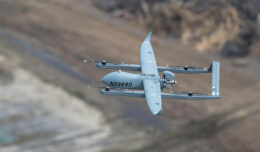 The exercise spanned a 642,000-acre training area with the stress on the unit increasing minute by minute in a design to create the worst-case scenario. NTC remains unique among Army training centers due to its ability to host tough, realistic, unified land operations in a fully immersive cultural environment with technologically advanced and elaborate facilities. There is also a dedicated and trained opposing force (OPFOR) and a brigade of observers and trainers to provide feedback. The Raiders started their training with the nonlethal element, which consists of public affairs, electronic warfare, civil affairs, psychological operations and military information support operations, to mitigate real-world scenarios such as civil demonstrations, protests and conflicts and the necessity to disperse large crowds potentially posing a threat. 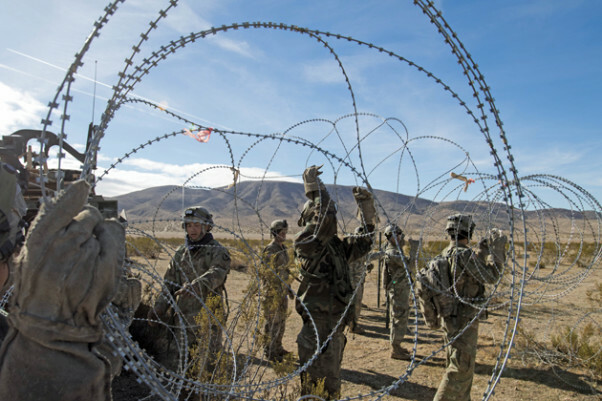 The Soldiers took on the opposing forces only five days after arriving at Fort Irwin. The OPFOR attacked day and night with tanks, aircraft and ground forces. As the force-on-force battle continued, command posts “jumped” and re-established their locations to prevent the enemy from finding their positions. The culminating event was a combined live-fire exercise executed by the entire brigade. Javelin missile systems, M777 155 mm howitzers and Stryker mortar carriers, to name a few pieces of equipment, were used to seize towns and destroy the enemy. 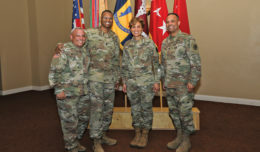 The training allowed the Raider Brigade Soldiers to hone their skills prior to a deployment to Afghanistan this spring. “NTC provides a realistic environment that stresses, tests and validates training and capabilities, further building and unifying lethal units across the formation that are ready to deploy and fight tonight,” said Maj. Ryan Edwards, 1st SBCT executive officer. Sgt. Taylor Ericco, Spc. Mark Quijada, Pfc. Matthew Pryor and Pfc. Johnathan Stewart, infantrymen, 1st Battalion, 38th Infantry Regiment, 1st Stryker Brigade Combat Team, 4th Infantry Division, conduct Military Operation in Urban Terrain (MOUT) training during the Decisive Action Rotation 18-03 at the National Training Center, Jan. 13. The training is reflective of the complexities of potential adversaries our nation could face and include: guerilla, insurgent, criminal and near-peer conventional forces woven into one dynamic environment.